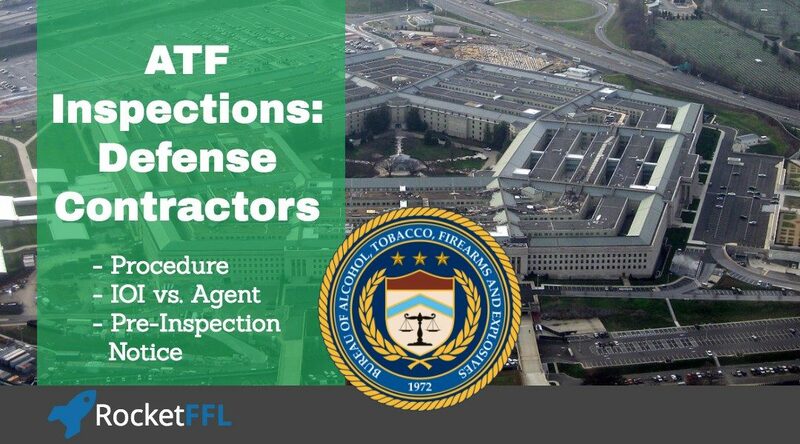 Today, the ATF released an overview of the inspection process for FFLs who are also Department of Defense Contractors. 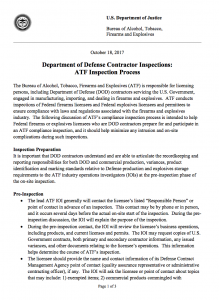 You can view/download the ATF Inspection Process for DOD Contractors or read it in full below. NOTE: This process is similar, but different from, the normal ATF inspection process for FFLs who are not also DOD contractors. Generally, the ATF may not inspect an FFL more than once a year. This means that after an inspection where no major issues are found, the ATF can not come back to inspect that license again until at least 12 months have passed. As we cover in our course on how to get your FFL, the ATF will visit with you as part of your FFL application process. This visit counts as an inspection! Therefore, you can’t get a regular compliance inspection during your first year as an FFL! A full guaranteed year of no inspections is both good and bad. It’s good because you can focus on getting your business running without worrying about a surprise visit from the ATF. It’s bad for some FFLs because they may not have taken the time to learn about ATF Compliance and therefore might have a whole year of bad habits/errors that they don’t learn about until their first inspection (often a few years later). And, once they learn about it during an inspection, it’s too late – the warnings are often in the form of formal violations of the law and ATF regulations. ATF agents do not conduct inspections! If you have an agent present during your inspection, you need to call your lawyer. A consultant won’t cut it – you need YOUR actual attorney on the phone. If you’re interested in official legal representation before it’s too late, reach out to us and we’ll get you in contact with an attorney. ATF inspections are conducted by “inspectors”… go figure. An Industry Operations Inspector (IOI) is an employee of the ATF without law-enforcement authority. However, they do report their findings to the other half of the ATF, the actual Agents, who are federal law enforcement officers. Here’s how you can tell the difference between an IOI and an ATF agent: First, ask who each person is! Both IOIs and Agents will clearly tell you who they are. Second, look for a gun. Agents carry guns, IOIs don’t. The ATF has the authority to inspect your licensed activity (they don’t have the authority to search things or records that aren’t part of your FFL or that aren’t specifically part of a normal ATF inspection) during a compliance inspection. If an Agent is present, it is a criminal investigation – Agents are not allowed to use the ATF’s administrative authority for compliance inspections. I have been on many phone calls with clients during inspections where I have politely asked (rarely sternly told) Agents to immediately leave the premises and come back with proof of an active criminal investigation or a search warrant. Think about it this way: if a building inspector comes into your home to check for a gas leak, that doesn’t mean that a police officer is allowed to accompany the inspector into your home to search through your things without your express permission or a search warrant. FFLs, who are also Defense Contractors, have compliance responsibilities for both DOD and commercial activities. There are special record-keeping requirements, security and safety protocols and procedures, and firearm/explosive segregation standards to follow once an FFL also becomes a DOD contractor. For example, a recent ruling by ATF, ATF Ruling 2016-5, applies only to marking variances for Defense Contractors. The biggest difference between the standard ATF inspection process for FFLs and the inspection process for DOD contractors is the potential for a pre-inspection notification from the ATF. Note the use of the word “potential.” There is no guarantee that the ATF will call ahead an notify a DOD contractor FFL of an inspection. Even the ATF uses the word “generally” in this recently released guidance when referring to when an IOI will give advance notice. It is common for Defense contractors to get a pre-inspection notice – however, it is uncommon for a standard FFL to get an advance notice. Instead, the ATF typically shows up and lets an FFL know that an inspection is starting. Of course, there are many other differences – the sections below referring to Defense contracts and the extra associated requirements, obviously aren’t part of the ATF’s normal inspection process for FFLs. 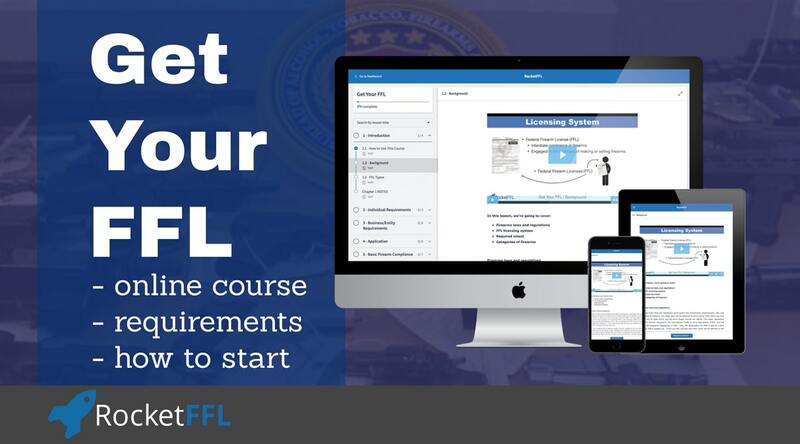 The Bureau of Alcohol, Tobacco, Firearms and Explosives (ATF) is responsible for licensing persons, including Department of Defense (DOD) contractors servicing the U.S. Government, engaged in manufacturing, importing, and dealing in firearms and explosives. ATF conducts inspections of Federal firearms licensees and Federal explosives licensees and permittees to ensure compliance with laws and regulations associated with the firearms and explosives industry. The following discussion of ATF’s compliance inspection process is intended to help Federal firearms or explosives licensees who are DOD contractors prepare for and participate in an ATF compliance inspection, and it should help minimize any intrusion and on-site complications during such inspections. It is important that DOD contractors understand and are able to articulate the recordkeeping and reporting responsibilities for both DOD and commercial production, variances, product identification and marking standards relative to Defense production and explosives storage requirements to the ATF industry operations investigators (IOIs) at the pre-inspection phase of the on-site inspection. The lead ATF IOI generally will contact the licensee’s listed “Responsible Person” or point of contact in advance of an inspection. This contact may be by phone or in person, and it occurs several days before the actual on-site start of the inspection. During the pre- inspection discussion, the IOI will explain the purpose of the inspection. During the pre-inspection contact, the IOI will review the licensee’s business operations, including products, and current licenses and permits. 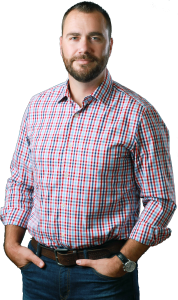 The IOI may request copies of U.S. Government contracts, both primary and secondary contractor information, any issued variances, and other documents relating to the licensee’s operations. 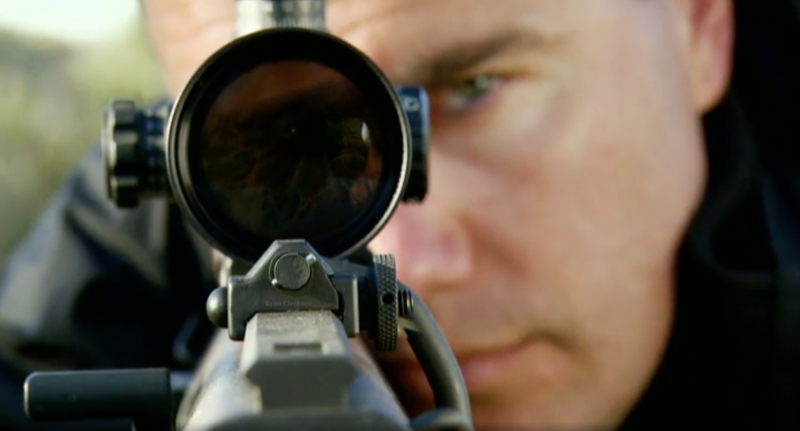 This information helps determine the course of ATF’s inspection. The licensee should provide the name and contact information of its Defense Contract Management Agency point of contact (quality assurance representative or administrative contracting officer), if any. The IOI will ask the licensee or point of contact about topics that may include: 1) exempted items; 2) commercial products commingled with exempted items and the effect of the commingling on recordkeeping; and 3) registration of certain commodities. The licensee should explain DOD security protocols and procedures, including requirements for safety training and access to the facility. For security reasons, ATF will provide the IOI’s personally identifiable information to the DOD representative, and IOIs will not provide the information directly to the licensee. The licensee should provide the IOI with the appropriate contact information for the DOD personnel who will facilitate the IOI’s access to the licensee’s premises. The inspection will occur during the licensee’s business hours or at an agreed-upon time. The IOI will verify the licensee’s corporate structure and request current lists ofresponsible persons and employee possessors. The IOI will review all Federal firearms licenses and explosives licenses/permits, special(occupational) tax stamps, and any other licenses or permits necessary to operate. If the licensee services a DOD contract, the IOI may ask about the terms of the contract as necessary. The IOI will review any variances held by the licensee. The IOI may request more specifics on the licensee’s business operations – includinginformation on U.S. Government sales, direct commercial sales (including foreign government sales), manufacturing or importing activities, subcontractors, and shipping procedures – in order to streamline the on-site inspection and make a determination between commercial products and goods destined for DOD use. The IOI may request a tour of the facility to become familiar with the location of records, storage facilities, etc. If the inspected company is a Federal explosives licensee or permittee, the IOI will request a plat plan. If permissible, the IOI will take photographs to validate the plat plan and table of distances. The IOI may request other supplemental records, including Department of Defense magazine information, DODIC numbers, safety data cards, State Department Directorate of Defense Trade Controls registration information, purchase orders, shipping documents, bills of lading, invoices, DSP-5, DD1348 – Issue Release Documents, DD1149- Requisition and Invoice Shipping Documents, DD 250 – Material Inspection and Receiving Reports, documentation that Certified Statements of Use were provided to suppliers, and other records. For firearms manufacturers, the IOI will review the Manufacturer Acquisition and Disposition Record. The IOI may ask to see the annual National Firearms Act (NFA) exemption letter if the licensee is manufacturing NFA weapons for the U.S. Government, and the IOI will validate exemptions if and when applicable. The IOI will conduct a physical inventory and reconcile it against the Acquisition and Disposition Record and the Daily Summary of Magazine Transactions, if applicable. This will help the IOI distinguish between Department of Defense exempt products/storage and commercial products. The IOI may request documentation to confirm that items are exempt under Title 27, Code of Federal Regulations, Parts 478.141 and 555.141. The IOI will request to see any applicable variances for residual completed munitions (e.g., remnants and rejects) that are not part of a U.S. Government contract and are not marked, registered, or stored properly. The IOI will review Importer Forms 6 and 6A. The IOI will examine NFA Forms 2, 3, 5, and 9 and will compare those documents withthe licensee’s Acquisition and Disposition Record and the National Firearms Registration and Transfer Record. The IOI will review the licensee’s Acquisition and Disposition Record and relatedrecords for accuracy and completeness. The IOI will conduct a physical inventory and reconcile it against the Acquisition andDisposition Record and the Daily Summary of Magazine Transactions. The IOI will inspect explosives storage magazines and process buildings. The IOI will verify that products originally manufactured as explosives and thenmanufactured into a destructive device appear in both the explosives and firearms Acquisition and Disposition records or records of manufacture. The IOI will also verify commercial markings and markings pertaining to a DOD contract. The IOI will request to see applicable variances for residual completed munitions (remnants and rejects) that are not part of a U.S. Government contract and are not marked, registered, or stored properly.Closing ConferenceThe IOI will hold a closing conference with a Responsible Person to discuss inspection findings. If violations are found, the IOI will issue a Report of Violations and discuss it with the licensee.